Most days I'm drowning in piles and piles of laundry. I've had many different laundry methods over the years, and they've all worked well for the season I was in. Being able to adapt to changes in our lifestyles is a necessity of keeping your head above water. Depending on your family size, you may be able to only do laundry a few times a week. If that is the case, then schedule laundry into your cleaning schedule. With six kids I have a constant flow of laundry. I try to start a load in the morning, switch it out at lunch, and switch it out again in the evening. My washer and dryer are both in constant use. A few years ago, I had a system of folding the laundry as soon as it came out of the dryer and putting it in stacks on top of the washer and dryer. This worked well, until I outgrew the space I had. I have a laundry closet instead of a laundry room, so I just have the top of the dryer for folding (if only I had a front loading washer, I could double my space). When I only had 3 or 4 kids (2 who wore the same size) it worked. Now that I have piles for 8 people I simply have run out of space. So, I've had to adapt. 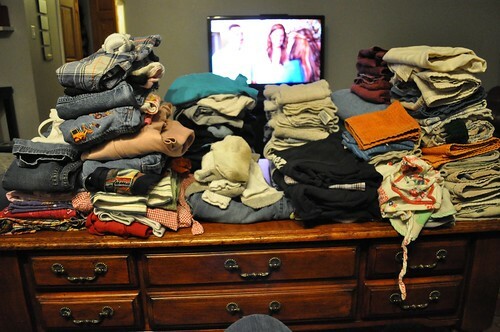 I now fold my laundry in the evening while sitting on the couch watching TV. The coffee table is plenty large enough to hold all my various piles, and it has to be put away right away or it drives my husband crazy! 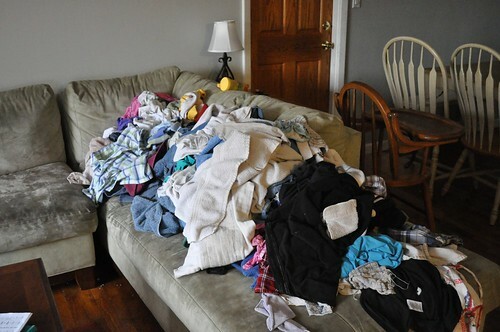 The downside to this system is that the clean laundry usually gets piled on the end of the couch throughout the day. If I have time during the day, I do try to keep it folded ... but in a busy house that isn't always possible until evening. 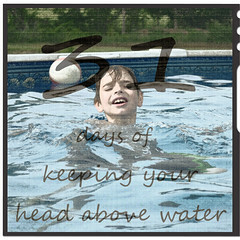 Finding a system to control your laundry is essential in keeping your head above water.